There has, rightly, been much concern in recent months over the mental health of the UK’s stu-dents, with a wide range of factors – dominated by financial and academic worries and fears over their future careers – contributing to a rising number of students experiencing high levels of stress. It should not come as a surprise, though, that – within the same environment and with very similar pressures around attainment and performance – staff mental health and wellbeing is also a complex, problematic and hugely impactful area. In 2015 The Equality Challenge Unit (ECU), which promotes diversity at universities, surveyed 2,063 staff (and 1,442 students) who had acknowledged a mental health problem. ECU asked the respondents whether they had disclosed their mental health problem to their institution and, if so, whether they had received any support. Some 38% of staff said they had not told colleagues, with many fearing that they would be treated differently or thought less of. Less than half (40%) revealed that, on disclosing their problem, they had received support. In fact, the survey found, around one in 125 UK HE students (0.8%) and around one in 500 staff (0.2%) had disclosed a ‘mental health condition’ to their university. 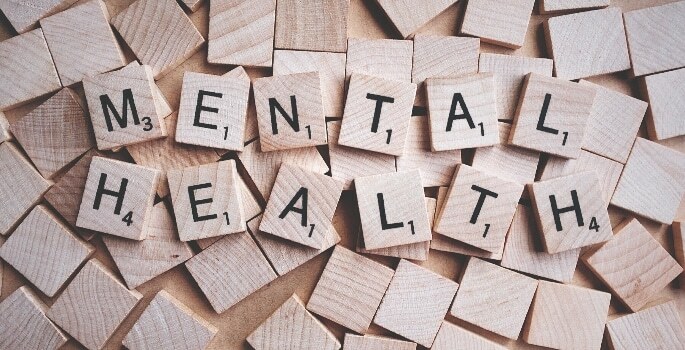 However, figures from the Department for Health indicated that a far higher number of adults in the UK population as a whole experience ‘mental health illness’. This discrepancy suggests that mental health difficulties within the HE sector go under-reported, with staff and students alike not disclosing a ‘mental health condition’ to their institution. The link between mental health difficulties and a stressful workplace seems clear enough. A 2014 survey for The Guardian, targeted at academics suffering mental health problems, found that two-thirds of the 2,500-plus respondents saw their illness as a direct result of their university job. Senior lecturers and those aged 55–64 felt the connection between work and mental ill health most strongly. A heavy workload and lack of support were cited as the major contributing factors. Just under half of respondents felt isolated: others mentioned a ‘bullying culture’, job insecurity and a culture of long working hours. A pressure to publish, meanwhile, was felt by more than a third of 25–34-year-olds. Senior lecturers and those over 45 cited unreasonable demands made by management as a key contributing factor. Interestingly, this was truer for post-1992 universities, where staff were more than twice as likely as those in Russell Group universities to say that their mental health had suffered due to high demands from management. Some 62% of academics working in post-1992 universities felt that they have heavier workloads than those in Russell Group universities: the latter, conversely, felt more pressure to publish. Elsewhere, a 2013 survey by the University and College Union (UCU) revealed that university staff are more stressed than the average British worker – and that the problem has got worse in recent years. The UCU survey found that nearly three-quarters of the sample agreed or strongly agreed with the statement “I find my job stressful”. More than half indicated that their general level of stress was high or very high, and more than one third said that they often or always experienced levels of stress they found unacceptable. Only 2% of the sample reported that they never experienced unacceptable levels of stress at work. Working hours came out as a major contributory factor in this survey. More than three-quarters of respondents employed on a full-time contract worked over 40 hours a week, and more than one third in excess of 50 hours a week. The biggest ‘wellbeing gaps’ related to work demands, change management, management support and role clarity – and all these gaps had widened since UCU’s previous (2008) survey. Performance measures – or metrics – are often singled out as a trigger for the stresses that academics face. The establishment of the Teaching Excellence Framework (TEF) has increased the pressure on UK academics to achieve good scores in the National Student Survey, which feeds into the TEF. This pressure manifested itself most tragically when, in September 2014, pressure to secure grant money apparently led Stefan Grimm, a toxicology professor at Imperial College London, to take his own life. He had received a letter earlier that year informing him that he was “struggling to fulfil the metrics of a professorial post” and needed to win research grants worth £200,000 a year. A roughly contemporaneous freedom of information request to a Russell Group university showed that one in five of days lost to sickness were due to stress or mental health issues. So how much is being done to address this growing problem? For one thing, the sector has clearly begun to respond to the problem over the past decade. Figures from 2015 showed that around 85% of UK universities now had a mental health policy in place, compared to just 27% in 2003. In the wake of Stefan Grimm’s death, Imperial College ordered an internal review of its staff policies, which recommended several changes. These included providing improved support for those facing performance management assessments – which can also take in the number and publication venues of papers each academic produces, as well as the number of PhD students they have supervised. Imperial’s mental-health provision also includes a campus-wide network of Mental Health First Aiders, who can provide staff and students with a safe space to start a confidential conversation about their mental health and signpost them to the most appropriate support; resilience and stress-management training; free professional and confidential help from Confidential Care, the College’s Employee Assistance Provider; and access to a comprehensive online wellbeing resource. Elsewhere, Juice is Sheffield University’s health and wellbeing offer for staff. Its main component is to offer accessible, varied and fun activities for staff to attend, but Juice also aims to raise awareness of health and wellbeing issues and trends, from an organisational, local and national level by providing all staff with access to the Health Hub, which details current articles, news and campaigns. Meanwhile, a new online toolkit to help employers and staff talk about mental health has been developed by a team of researchers from Kingston University, Loughborough University and Affinity Health at Work. The Return to Work website gives bosses and employees advice and information to help them navigate the return-to-work process following absences due to stress, anxiety or depression. The site features templates for absence letters, facts about mental health, checklists for each stage of sick leave and a comprehensive guide for returning to work, including exercises such as identifying work priorities. Dr Derek Richards is Director of Clinical Research and Innovation at SilverCloud Health, a provider of digital behavioural health solutions to support mental and physical wellness. The organisation is already helping people in almost 150 NHS services and organisations – including over 35 UK universities. SilverCloud Health offers secure, immediate access to online Cognitive Behavioural Therapy (CBT) programmes, tailored to each user’s specific needs. The evidence-based SilverCloud Health programmes have shown high improvement rates for depression, anxiety and stress. This means adopting an approach to protect and improve mental health for everyone, as well as supporting staff who experience distress. For example, organisations can assign ‘mental health champions’, and ensure that senior leaders and middle managers are responsible for implementing mental health programmes. Organisations should also make evidence-based tools such as mindfulness and exercise available to all staff. Finally, regular staff wellbeing surveys and other research are ideal for informing workplace policies. Organisations should encourage managers to attend relevant training, so that they are able to support staff living with mental health problems – as well as the wellbeing of all staff. They should provide proactive support for staff line-managing people with mental health problems, including access to HR and, where necessary, occupational health services. They should also act to turn any existing mental health stigma on its head – and be aware that line managers with experience of mental health problems are a unique asset to a company. An employee’s mental health status must not be used as a form of discrimination. As such, organisations must make it easy for staff to report any discrimination or harassment they face. It’s also a good idea to support anti-stigma initiatives such as Time to Change, Time to Change Cymru, See Me and Mental Health Awareness Week. When compiling diversity and inclusion strategies, mental health should be embraced and included. A culture of authenticity and openness, where staff feel comfortable disclosing problems, should be encouraged. Organisations should also explore setting up peer support and mentoring programmes for staff with lived experience of mental health problems. In fact, the Foundation’s recent report, Added Value, suggests that the value added by people with mental health problems in the workforce is greater than the costs arising.